───South America, Federative Republic of Brazil. A wind of intense humidity was blown towards the sea of trees. Today, as usual, the world’s largest rainforest, Amazon, was engulfed with heat. This sea of trees where one couldn’t see an inch ahead without getting obstructed was like a natural fortress for those unfamiliar with the land. Once lost in it, it would be incredibly difficult to get out of there. At daytime, all sorts of snakes and beasts began to wreak havoc. To the world, this place would be referred as a wonderland. Wiping away his sweat, Sakamaki Izayoi spoke to the person beside him, Prithvi Mata. Izayoi presented a simple weather detector held by his hand to Prith. It displayed the temperature to be 34 degree celsius along with humidity of 82%. Izayoi’s annoyance index was also estimated to be reaching 120%. Looking at the sky in the distance, the clouds were gradually gathering above the rainforest. If rain was to start now, it would really be a collection of irritating elements. To Izayoi, who had tendency of getting soaked, that was an unbearable development. Izayoi carelessly asked for compassion. But Prithvi Mata, The Mother Goddess, wasn’t the one to depend on her power so easily. 'Twelve Devas'───Also called, Juuniten, were a group of various gods who were feared as the strongest out the entire heavenly army that defended the world's peace. The divine group was made up of various gods from the Middle East, Ancient India, and East Asia, most of its members being ancient war gods. Hence, it was considered to be a group of gods with one of the strongest war power. And as far as Izayoi was aware, more than half of them had descended to the outside world. Among the ‘12 Devas’ led by Tokuteru Mikado, 7 of them have made an appearance, including himself. However, due to the sheer power they possess, it would be impossible for all of the 12 Devas to appear in the outside world at once, no matter how much they lower their spiritual power. The number of gods a single world could naturally bear was three at best. Once the number of gods exceeds that maximum number, just their existence itself could alter the laws of nature, make oceans go wild, open a fissure, and cause the sky to blaze up in deep red. Hence, if a god wanted to interfere with the outside world, they would usually send an organization which they shared their spiritual power with, or their own avatar down───yet, for some reason, this Mother Earth had manifested herself instead. Even among the earth goddesses, Prithvi Mata who had entrusted the agriculture to humanity was a great goddess whose Spirituality was leagues above the rest. She was a goddess who possessed a unique authority, holding the achievement of humanity’s explosive growth. There was, theoretically, no greater earth goddess than her, whose deeds towards the advancement of Humanity was second to none. The true goddess standing above all as Mother Earth, Prithvi Mata. Although the words from Izayoi were full of hope of seeing miracles that would be made by this goddess among the goddesses───Prith shook her head with a gentle smile. Prith looked afar as she squinted her eyes. It’s hard to return to how it was after experiencing the convenience of having air conditioning. Even Prithvi, who was resistant to heat, wanted to finish her job quickly just to return to her air-conditioned room. With dubious faces, the two changed their line of sight to the weather detector. Speaking of the current job, there was a reason why the two had come all this way to the Federative Republic of Brazil in South America. The reason for that was that the place where the ‘Bull of Heaven’ had an outbreak had been confirmed to be the coastal city of Brazil, Rio de Janeiro. The city of Rio was famous as a bustling city of southern countries, and it was also the world’s largest megacity with a population of over 6 million. Fortunately, the damage caused by the typhoon was not extreme, but the extent of the damage caused by the spoilage virus was unclear. After leaving France, the investigation team of the ‘Everything Company’ was sent here to the country with the world’s largest rainforest, the Amazon, and had just started to investigate the virus. ───But Izayoi and the others knew. The pathogens were also spread from the island of Crete in the Greek Republic. In order to attack Europe, the toxic particles were mixed up in the storm. From this extremely despicable move, western countries have suffered severe damage from an economic perspective. The turbulence of stock markets and the buying of wheat flour where still comparatively meager things, compared to the fact that Brands with over a hundred years of history have been forced to temporarily suspend their business in a mere two months. It can be said that the Western European market had completely collapsed. It was at this moment that ‘Everything Company’ introduced the Star Particle Bodies. For Europe which was on the verge of ruin, it was truly a godsend. As she swept away the reflective sweat, Prith smiled bitterly. Prithvi smiled and gave a thumbs up while fanning her chest with her other hand. 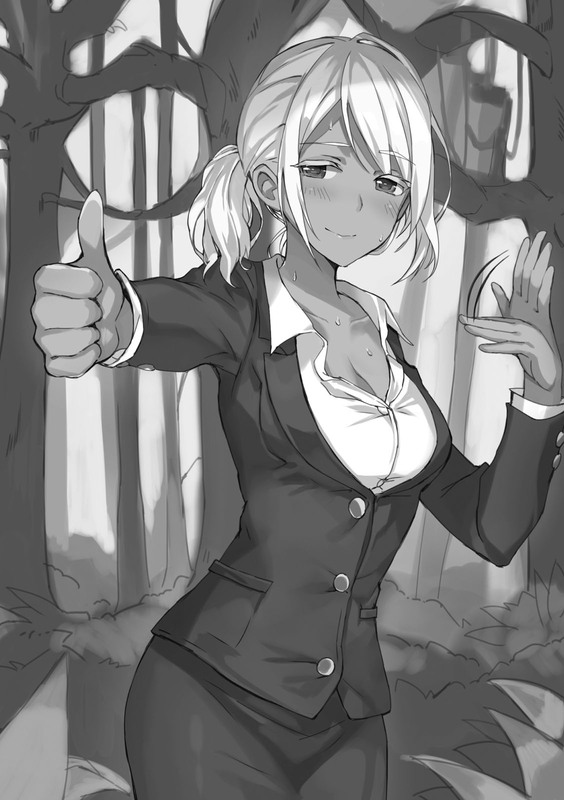 She came into this kind of forest while wearing a suit; Izayoi couldn’t really get whether she was just diligent or an airhead. After all, it has only been two and a half months since he met her. As he couldn’t find his way into Little Garden, he gradually got involved with the Security Service company that Mikado Tokuteru managed. The principle of ‘no work no food’ is universal regardless of the world. In age, he could no longer be considered a student. Because while he was physically 19, according to the family register, in the outer world he was 21. If he was to live in the orphanage without a job and live a life of self-willedness, he may not have a foothold in front of the children. He was met with a headache; the disorganization was far beyond his imagination. With that being the case, it would be appropriate to say that the satisfying feeling of enthusiasm completely disappeared. Although Izayoi easily displayed an impression of crude and rudeness, even he had a rigorous side of him. If there was no appropriate compensation for the properly done work, even he would be troubled by it. "There were proposals for accounting employment before, but regrettably our line of work has many things we can’t disclose to the public. Although the many conveniences in this era has made me very happy, it becomes difficult to move when money is tight. After all, we are war gods who protect the law, not wealth. Thanks to the kind Head of Accounting, who gathered all the data within the scope of explanation, even the useless embezzlement done by President Mikado has come to light. I have to thank you." Prith continued to nod in gratitude. Although it was totally unexpected in Tokuteru Mikado’s case. While whining about work, they continued their advance through the clusters of ivy. However, the path, or what could be called a path, ended here. Beyond this point was the unexplored land. Although they weren’t in any danger, they had to advance carefully but quickly or the day would grow dark on them. As the two put down their luggage to make preparations, the phone rang suddenly with a simple beeping sound. Izayoi could only think that the caller estimated that the forest entrance was where the electromagnetic waves would barely reach. Unpleasantly, he answered the phone. As he answered with sarcasm, a sigh came from the other side. Saigou Homura’s voice was projected from the phone. Izayoi waved his hand due to annoyance. Homura’s jokingly reply caused Izayoi’s expression to become more silent and depressed. To Izayoi, whom could not find a way back to Little Garden, not getting his pay was a bad problem. Coming all this way to Brazil in vain would have to be avoided at all costs. Cough cough. As Saigou Homura cleared his throat, Izayoi shrugged in doubt. Hearing Homura’s concise yet dangerous conclusion, Izayoi gave a truculent laugh. It could be assumed that there were at least two organizations that were researching the Particle Bodies, if not more. This information was truly indispensable, so he understood the need for this emergency call. Izayoi became puzzled after hearing that. Hearing him say “Star Particle Body crystallization phenomenon” didn’t give him much of an idea about what it was. Even if the person in question was Izayoi, he was no specialist so that outcome was natural. Moreover, he had been living in a different world until recently, so Homura’s words were a little difficult for him to understand since the science had steadily progressed in his absence. Izayoi doubted his ears upon hearing that unexpected name. Izayoi didn’t ‘just knew’ about it. The demonic personification of the thermodynamic paradox—that was the existence known as ‘Maxwell’s Demon’. The great demon Maxwell, who ruled the realm of warmth and cold, was one of the demons who once fought Izayoi and the others. He was a very powerful devil who could make unrestricted thermal replacement possible by manipulating the + and - boundaries. Yet, a certain thing had led him into becoming mad with affection towards his loved one, before finally ending up slain by Izayoi’s power. That being the case, Izayoi knew a lot more than Homura regarding this ‘Maxwell’s Demon’. Homura got question marks from his comment. As Homura’s voice became more and more awkward as he spoke, Izayoi shrugged his shoulders bothersomedly. Izayoi laughed jokingly. Homura on the other hand had become so speechless that it was apparent even over the phone, and then heaved a short sigh. As Izayoi laughed, Homura fell silent. In regards to the reward, the ‘Everything Company’ gave him a considerable amount of money. It was originally granted to Saigou Homura’s father who was the original developer, but his Father had passed away. However, Homura did not develop the particle bodies from scratch. Homura only completed the degraded products that only imitated the 3S. Nano Machine Units. As such he had faced quite a bit of trouble when he was applying for a license. The amount of investment used for analyzing the Particle Bodies was of course astronomical, and there was also funds for the orphanages which were unrelated to the research. Saigou Homura was compensated 200 million yen for his work, with an additional 500 million yen given for the repair and management for the orphanage. In addition, 2.5 billion yen would go towards the cryo electron microscope that Homura had requested. Instead of it being loaned, the latest model would be provided for him. Furthermore, if Homura were to uncover the mystery behind the rumored perpetual motion machine that Particle Bodies concealed, Homura in particular could yield 0.75% of the profits from the energy industry. If it could be used for practical purposes, interest which surpassed even the oil and nuclear industry could be obtained. It was hypothesized that even 1% of it would exceed the national budget of Japan, and that amount of money would be given to an individual annually. This was the so called exceptional from exception, a broken assessment. If he could uncover the mystery of the 3S. Nano Machine Units, Saigou Homura could receive authority on par with the world leaders. Homura’s speech came to an abrupt end and fell silent in just that moment. Izayoi crooked his head, hiding in the shade to avoid the sunlight. Hah? Izayoi gave a puzzled reaction. Homura was a young boy who was polite to others, but would be frank when it came to Suzuka and Izayoi. Hence, it was rare for him to adopt this attitude. Homura hesitated with his words for a while. Then, starting with a cough, he decided to get to the point. Izayoi responded with a voice weirder than before towards that unexpected question. Anyone would give that kind of reaction when such an embarrassing question was asked all of a sudden.. Feeling annoyed, Izayoi scratched his head and didn’t answer immediately. Beep. The phone hung up. Hanging up the phone just after saying a few words of concern, how roundabout. Overhearing the conversation, Prith suppressed her laugh while gathering the luggage. A hedonistic brother───Izayoi couldn’t help but smile when being called that. Izayoi asked in a displeased manner, and Prith widened her eyes from the unexpected question. Regardless of how big the issue is, there are talents that the world needs. No matter if it was Saigou Homura who became a particle researcher, or Ayazato Suzuka who acts as the older sister of the orphanage. They who have established their own places and reasons of existence were now stepping into another world which exposed their lives to danger. That's what Izayoi was worried about. Prith who sensed the worries that Izayoi had, replied as she scratches her cheek. Eh? Izayoi gave out a strange voice. Prith revealed an impish smile. But that being the case, Izayoi couldn’t make sense of it. If it was just a Game held in the streets, that could still be fine. But the Gift Games he loved so much were not so forgiving. Gift Games were the games of gods and demons which only those who have reached the extremes could challenge. They weren’t made in a way where you had to worry about naive things like human rights. If there's a guarantee of living, there must be something that the Host has planned within this rule. And that would be a challenge equivalent to the ‘guarantee of life’. Izayoi glared towards the depths of the tropical rainforest as he lightly clicked his tongue. Since the Star Particle Bodies have a close relationship to ‘Everything Company’, there was a possibility that he could get in touch with ‘Queen Halloween’ after solving the mystery in due time. Or perhaps, those who used the Particle Bodies for evil deeds could be from Little Garden too. By forcing them to reveal a way back, everything would be solved. Beep. The simplistic ringtone rang again. It was a second call from Homura. …That guy sure seems to have a lot of free time, doesn’t he? While thinking so in wonder, he answered the call. As he did, there was a voice similar to a hellish earthquake coming from the other side. The angry roar has caused Izayoi to block his ear. Due to the impolite questioning, Izayoi finally frowned from annoyance. After being asked such crazy thing out of the blue, it's obvious that he would be pissed. Beep. The phone hung up once again. The unilateral call and unilateral hang-up, there was a limit to how rude one could be. It must be the fault of the brother and loved ones who raised him. Although Homura’s ghastly voice has made Izayoi puzzled, he decided to let it go after thinking about it for a while and not arriving at an answer. 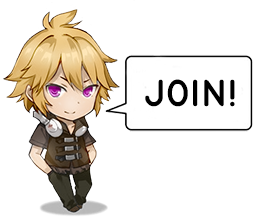 Izayoi turned to Prith who was beside him, and asked about the future plans. “No problem with that, but can you find me in a forest of this scale? Okay, let’s go then. Saying so, they started moving towards the forest. The two had been unusually slack, simply wanting to get it over with as soon as they could. Perhaps they were also a bit self-conceited that there wouldn’t be anything in this outer world that could prove to be a threat to them, given they experienced the battles of Little Garden. However, it was only a few hours after this when they realised that they have been taking this experiment far too lightly. Thanks for the new chapter Frozen! And seriously, whats up with Tarou and Brazil? First in Mondaiji and now in LE. Sakamaki Izayoi: the man who does what gods don't. Thanks for the chapter! I really love this series. Thank you so much for this chapter, you're doing an awesome job! Thank you really much! !